During the fall soccer season, we were out of the house 6 out of 7 days throughout the week. Between the 4:20pm bus stop, 35 minute ride to town, 5-7pm practices and Saturday games for all three, and Bookworm’s weekly piano lessons, there was barely time for me to think about dinner, let alone make it. I knew slow cooker meals were going to be the way I had to go. 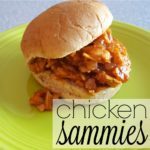 But I don’t have many slow cooker meals in my repertoire, so I made it a personal mission of mine to find some slow cooker recipes that our family could use. Enter this slow cooker pot roast. The problem is, our family doesn’t gravitate towards slow cooker meals. 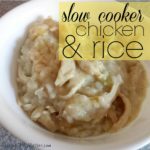 Yeah, I know… I’ve posted slow cooker recipes that we do make, like our creamy chicken wild rice soup, our chicken and rice, and our homemade vanilla yogurt. But honestly, slow cooker meals are just not something I think of right away when it comes time to make our meal plan. There are just some meals we don’t do, and the fact is that most casseroles and “one pot” meals are it. But…. I’m all about using my slow cooker to aid our dinner prep. And that’s where this pot roast comes in. 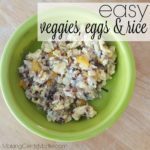 It has few ingredients, takes minimal prep, and is so delicious! Bonus points because it stretches for quite a few meals. It breaks up the monotony of chicken and ground beef meals. My local grocery store sells the 6 pounds as two seperate 3 pound, individually vacuum sealed roasts. This makes it super simple to freeze half of the roast straight from the store. One roast stretches for at 4 meals, if not more. After we have one main dinner, we will then take the left over meat and spread it out across some remaining meals for the week. If eating a bunch of roast beef throughout the week isn’t your thing, you can divvy it up into meal sized portions and freeze until you’re ready to use them. 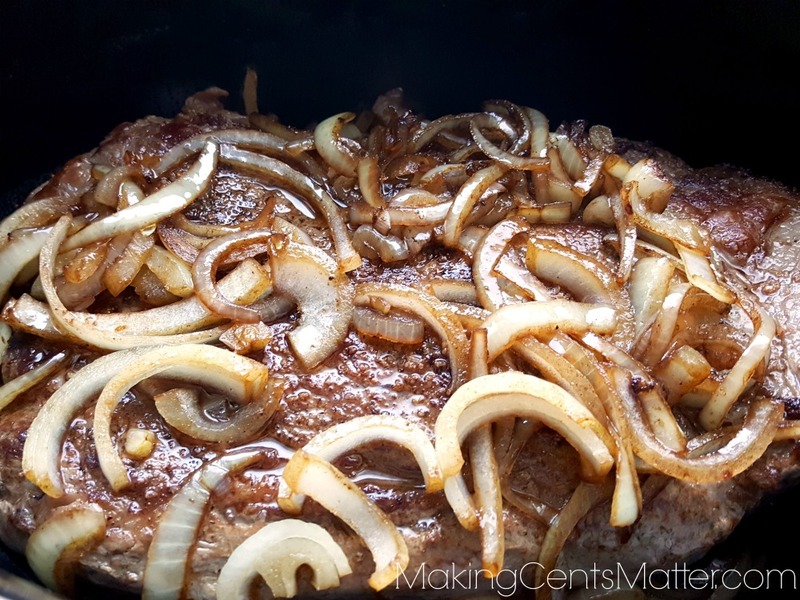 If you’re really strapped for time and just need to get the beef in, because honestly we’ve all been there, you can skip searing the beef and just throw it and the sliced onions in your slow cooker. But trust me, the flavor will be a LOT better if you take the 10-15 minutes to sear it on each side. It gives it a nice texture, and the flavor is so much better. You’ll thank me later. 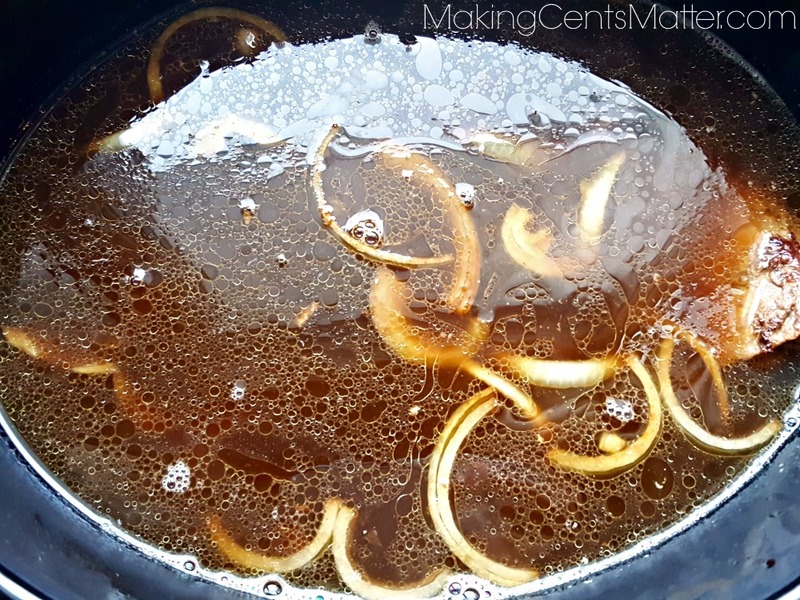 Spray your slow cooker insert with cooking oil. This is an optional step, but it makes clean up later so much easier. Over medium high heat, heat olive oil. Season one side of chuck roast with salt & pepper. Sear seasoned side of beef for about 5 minutes. Season the other side. Carefully flip the roast over, and sear second side. Once both sides are seared, place the roast in the slow cooker. Add butter to pan, allowing to melt. Add onions and sautee until translucent. Make sure to scrape the bits off of the bottom of the pan. They’ve got tons of flavor. Add Worchestershire Sauce to the pan, working to deglaze the pan for another 1-2 minutes. Pour the onions over top of the chuck roast. Add beef broth, just enough to cover. Remove pot roast from slow cooker, and shred. It’s a wonderful way to add some variety to your meals, and get the most out of a pricier cut of meat. There you go! 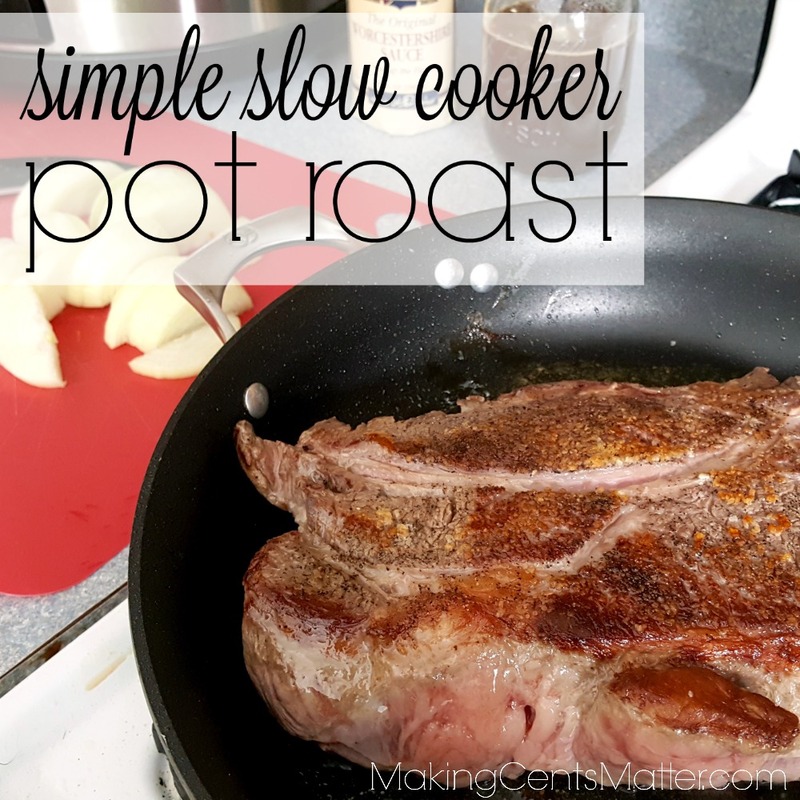 A super simple slow cooker pot roast, and some meal ideas to use it up! 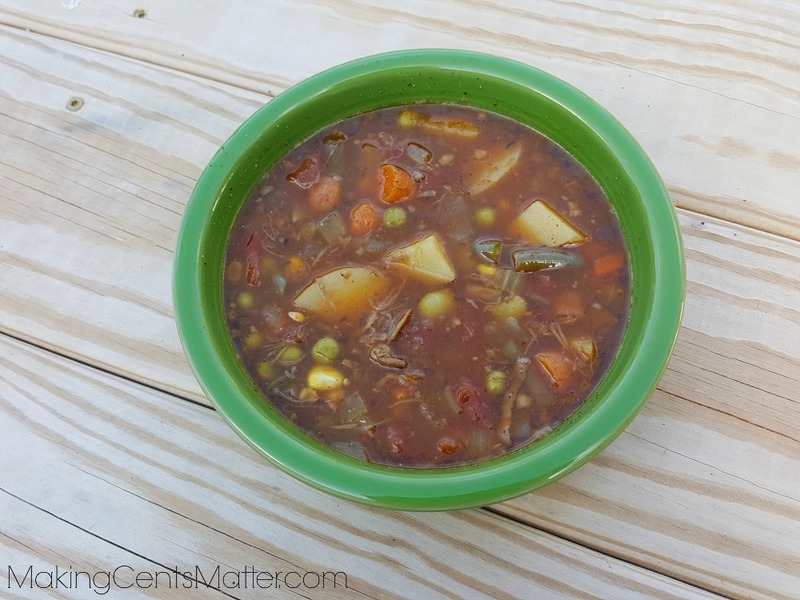 Does your family like slow cooker meals? 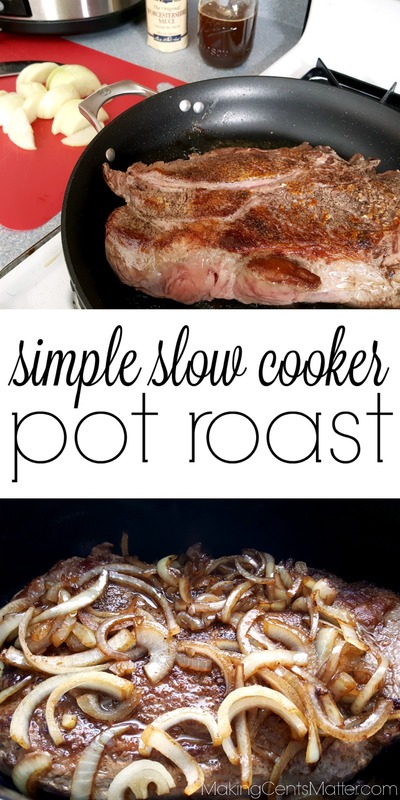 Or are you like me and use your slow cooker to aid in your dinner prep? 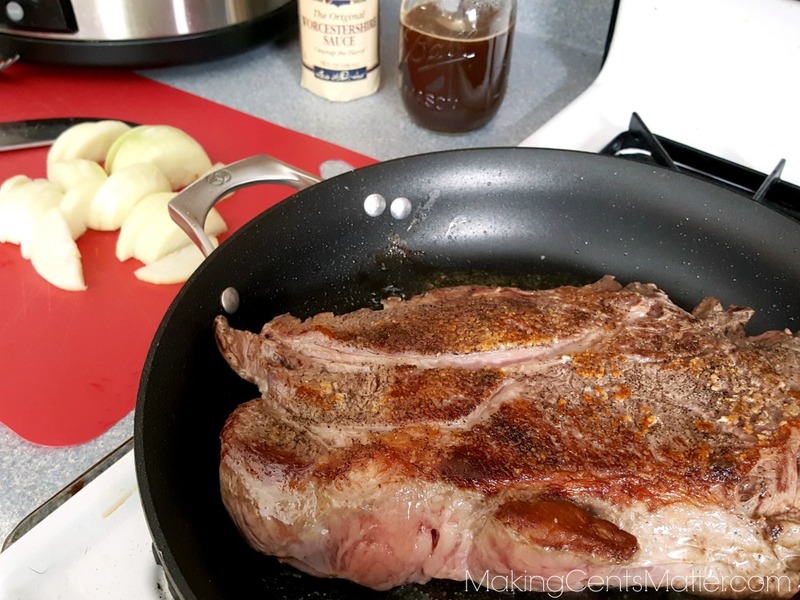 Do you have a go-to method for cooking pot roast? I’d love to hear in the comments below!